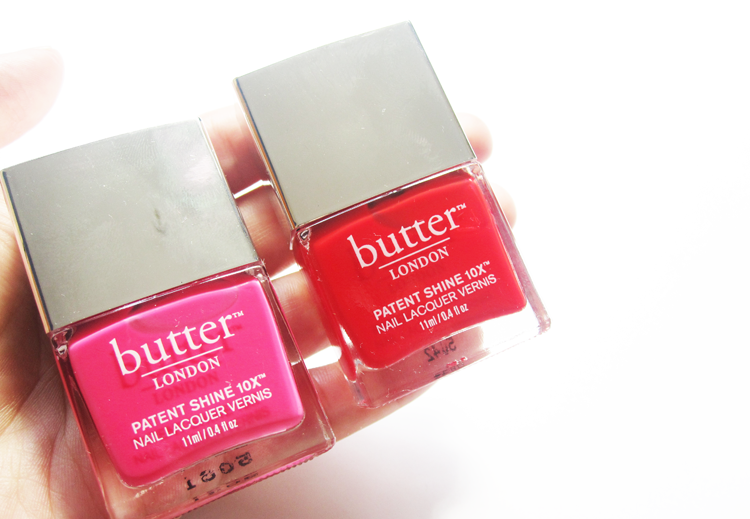 Review & Swatches: Butter London Patent Shine 10x Nail Lacquers in Flusher Blusher & Smashing! When it comes to nails, I always like mine to have a polished, shiny finish (sorry matte formulas but you're just not my thing). 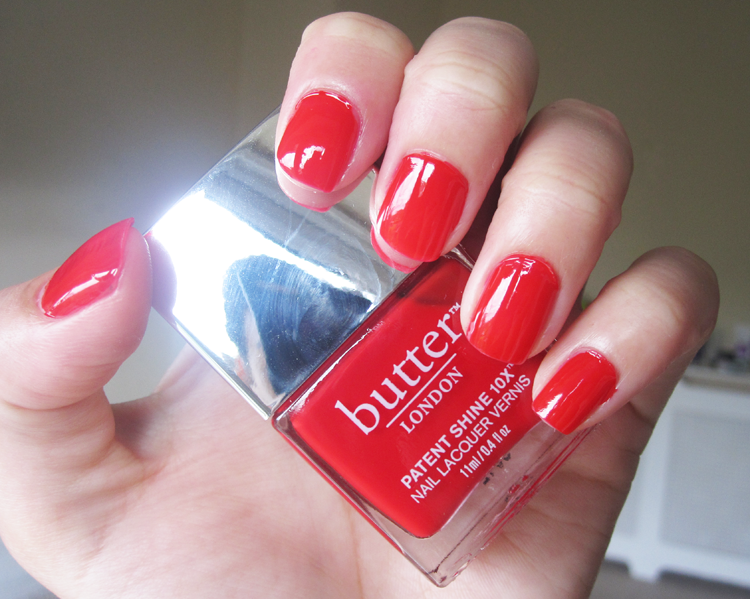 There are lots of brands I've tried who offer gel effect and super shine formulas, but my most surprising find recently has come from Butter London. 10. Free of formaldehyde, formaldehyde resin, DBP, toluene, camphor, ethyl tosylamide, and oxylene. Now that's a lot of big claims, so how many do they actually live up to? Claims 1-2: A 10 day wear claim was always going to be a difficult one to achieve and I found these lasted on my nails around 5-6 days before starting to chip. This is without a top coat so I was very impressed, but sadly not 10 days. When they did start to chip, it was a gradual process unlike some other polishes where you can chip off large chunks; these were much smaller. Claims 3-5: As you can see from my photos, these have an amazing shine to them (no filter, no top coat!) and the shine lasted for most of the week too. Very easy to apply in just two coats, excellent coverage and a definite salon style gel like finish that didn't fade. Claims 6-9: Butter London have added some extra ingredients to care for your nails and when I took the lacquer off, I did notice that my nails looked smoother and they did feel a little more stronger than usual after I'd worn the lacquer for a week. I don't have many problems with peeling or breaking so can't comment on that and didn't notice a difference in whether my nails were brighter or not. Claim 10: Based on the ingredients list, these nail lacquers are indeed free from all those nasties, so they are a great option for consumers who wish to avoid those chemicals. Summary: Based on the almost week long wear time, how easy these were to apply and the incredible shine finish, I am happily impressed with Butter London's latest range. Although they're not cheap, I just love the formula and they really do give you a professional salon style manicure that you can achieve at home. Love them! Butter London Patent Shine 10x Nail Lacquers (11ml, £15 each) are available from Feel Unique are currently in their sale for just £12 each.